Take your smile from average to dazzling with porcelain veneers! Many people desire a brighter, cleaner, more attractive smile, but have chipped, stained, discolored, unevenly spaced, or even slightly crooked front teeth. If this sounds like you, and you live in or around, Spring, TX, Champions Dentistry will be glad to help evaluate your specific situation. Dr. Shellie Reagan will listen to the exact changes you have in mind, and show you examples of the end result before any treatment is performed. A veneer can be described as a thin shell of porcelain material. It is most commonly used to cover the front surface of a tooth and address problems like chipped, stained or unsightly teeth. They look and feel very natural, so comfort is not an issue. Veneers enhance the look of your teeth so your smile is greatly improved. Porcelain veneers can provide a completely improved, dazzling smile in just a few appointments. The actual treatment involves only two visits. The number of pre-treatment visits depends on the complexity of your situation and the changes you desire. Dr. Reagan will need to take impressions of your teeth. This information will help her design custom fit veneers for you. Before the veneers are bonded, Dr. Reagan will remove a small portion of the tooth’s enamel surface. This will provide space for the veneers so they look and feel very natural. Local anesthesia may or may not be necessary for the entire process. The veneers can therefore be bonded to your teeth painlessly. We at Champions Dentistry will work out details to ensure predictable results. Typically, there is a follow up visit or two for final adjustments, polishing, and reviewing instructions for care of your new smile. 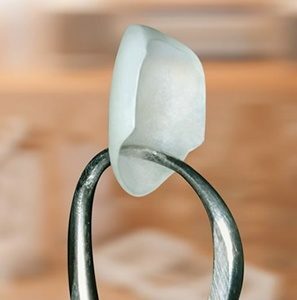 Porcelain veneers can last for many years with proper maintenance. Dr. Reagan will teach you the ways of caring for veneers so they last as long as possible. The placement of porcelain veneers requires a skilled, experienced dentist like Dr. Reagan. She gives utmost importance to their correct placement onto the teeth. We at Champions Dentistry assure you that you are in good hands with Veneers in Spring, TX. Dr Reagan is a valued member of the Spring, TX community, having helped many patients achieve beautiful, long-lasting smiles. Call us today at (281) 401-8200! Let Dr. Reagan bring out the best in your smile with porcelain veneers and any other one of our dental procedures.